2012 Olympic champion Daniel Gyurta of Hungary has announced his retirement from competitive swimming. The 28-year-old took to Facebook to reveal his decision, one which he calls the most difficult of his life. 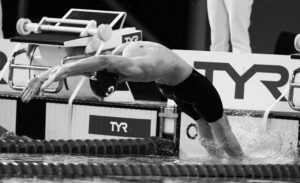 Gyurta blasted onto the international swim scene at just the age of 15, snagging the 2004 Olympic silver medal behind Japan’s Kosuke Kitajima in the men’s 200m breaststroke. He upgraded his result to gold in the 2012 edition of the Games in London, setting a new world record in the process. Although he would go on to win the 200m breaststroke World Championships title in 2013 and take bronze at the same competition last year, Gyurta was never able to quite capture the same magic that helped him initially bring the spotlight onto Hungarian swimming. He was also dealt a blow in 2017 when his longtime former coach, Sándor Széles, passed away at just 61. 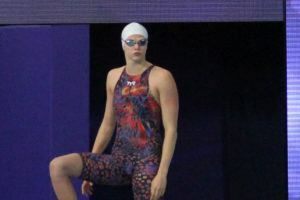 Gyurta was honored with the Order of Merit of the Republic of Hungary and was named Hungarian swimmer of the year 5 times. He will remain active in the sport outside the pool, as Gyurta has served as a member of the IOC Athletes’ Commission. He got silver in 2004. Brenton Rickard got silver in 2008. Great swimmer…..best of luck w whatever comes next! He took the bronze in Kazan, otherwise we are really sad.